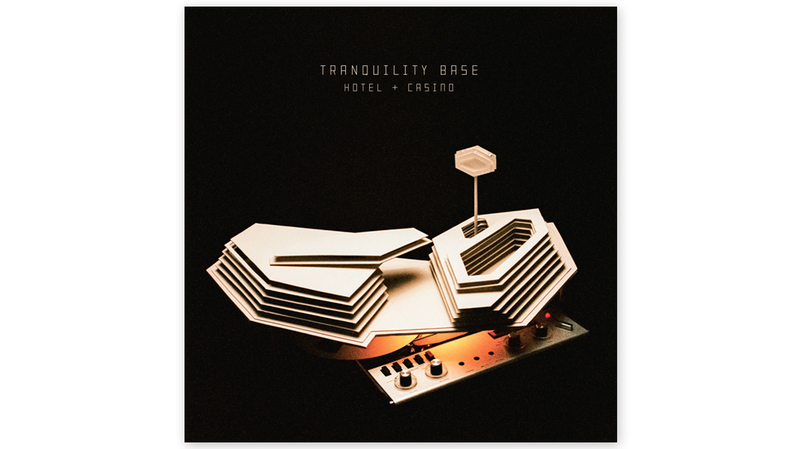 Five years since their last release, 2013’s critically acclaimed AM, we catch up with the Arctic Monkeys who are now the lounge band at the Tranquility Base Hotel & Casino. In accordance with their new role, gone are the hip-hop inspired, bass and drum heavy rockers of AM, replaced with pianos and a penchant for spacey, lounge-pop. Turner’s distinctive Sheffield-accented vocals remain, but instead of the quick spitted observational quips he has become known for, he adopts a unidentified persona with a science fiction obsession that fancies himself as a not too shabby 1970’s era Bowie or Elvis tribute act. The album opens with Star Treatment, a laid back lounge number that has the barest of bare-boned musical structures. Turner sings “I just wanted to be one of The Strokes”, a nod to the band’s far more simplistic aims at their beginning, but the line between what lines he owns and his 70s persona is unclear, and the light musical structure is easily muddied by his directionless narrative. The occasional falsetto “yeah-eah-eahs”, panning from left to right, could easily be mistaken for parody, though, maybe they are. First single, Four Out of Five, also suffers a similar fate, though there is far more space for the ensemble cast of musicians to work in. Nick O’Malley’s bass is a welcome introduction, giving the tune a solid groove that provides the song with a continual momentum. One Point Perspective is a far better track. Starting with the one piano note being hammered over and over, and the cheeky lyric “dancing in my underpants, I am going to run for government”, each instrument’s role is far more defined and shines as a result. The picked guitars linger over the simple piano, the bass goes on runs here and there, and the drumming is restrained but ever reliable. Elsewhere, there are a bunch of good ideas, but unfortunately not all are that well executed. Golden Trunks is a glam number featuring a nasty little riff and shared harmonies, while American Sports is a mini-epic that is full of fuzzed guitars and opus piano chords. The World’s First Ever Monster Truck Front Flip is a a critique on current, in particular American, lifestyle with lyrics such as “you push the button and we’ll do the rest, the exotic sound of data storage” serving as a reminder that the more in touch with communication we are, the less control we have. The songs are not bad, they’re just rather nondescript and you wonder what each Monkey actually thinks of this work. That Turner composed these tracks on his own in Los Angeles is very apparent, and the decision to allow his Elvis-styled posturing vocals dominate each track makes this feel a lot less like a full band record, and much more like a solo-record. Is it perhaps a record just to meet contractual obligations, or maybe just a temporary stop off on the way to a fully-realised new sound? Turner’s lyrics lack coherency and he oft falls prey to clumsy phrasing, which is most pronounced in the lyrical/melody mismatch of the title track’s chorus, (that it actually becomes fascinating in a The Shaggs’ Philosophy of the World-way). While the music on this track is stark and beautifully melancholic, the use of a full ensemble of musicians leave it sounding more U2 or Coldplay, leaving Turner looking more like Bono than the glam of Thin White Duke or Lou Reed Berlin that his initial glam-tinged piano numbers may have led him to believe. While it’s great to hear a band continue to progress, this particular jump does not find the group playing to their strengths. As a result, the tracks lack direction and, in with regards to Tuner, lack conviction. As a solo record, this could have been a real winner, but as full band record, unfortunately those grand ideas have failed to materialise.